Home all Fleck 5600SXT Water Softener System Dealer - monthyear Fleck 5600SXT Sale! Why Buy from the #1 Fleck Water Softener Dealer/Distributor? This Fleck 5600SXT on demand metered digital water softener is perfect for those looking for an economical option! Brine Tank includes Brine line & Safety Float with Brine well. Ships pre-loaded with resin saving you time and money on the installation of the system (up to 48,000-grain capacity). 10-Year Manufacturer's Warranty on the Tanks. 5-Year Manufacturer's Warranty on the Fleck 5600SXT Control Valve. PRODUCT TECH SUPPORT - Hands down our most popular model. Made using the highest end components and hand assembled. Experience the difference and see why we are the industry leader. Email, Phone, Text support along with YouTube videos give you SUPPORT for before, during or after the installation. VALUE ADDED PACKAGE - We pride ourselves in simplifying the consumer experience. We demonstrate this by PRE-LOADING the mineral tanks with resin for you to reduce heavy lifting and mess, we PRE-PROGRAM this digital meter to avoid adding guesswork, we provide additional INSTALL ITEMS to save you from making extra trips to store, and we are very EASY TO CONTACT using phone, email, and texting! Get even more out of your Fleck 5600SXT System & Upgrade to the Mid-Range Package with 10% Resin & Quick Installation kit! UPGRADED 10% Cross-linked resin for longer life. 10% Crosslink resin is more chlorine resistant and has a stronger bond so it lasts longer! EASY INSTALLATION: This package includes Two 18" Flexible stainless steel quick connect hoses. No need to worry about your plumbing lining up exactly, no need for soldering, sweating, cutting, and gluing! The Flexible stainless steel Quick Connect hoses just clamp right on to your pipes! Save 40% on Salt & Waste Water with the Mid-Range High-Efficiency Package! UPGRADED High-Efficiency resin saving you 40% on salt consumption AND 40% on waste water! SST-60 Shallow Shell resin is high performing water softening resin that is ideal in residential and commercial softener applications where minimizing hardness and maximizing salt efficiency are top priorities. EASY INSTALLATION: This Fleck 5600SXT package includes Two 18" Flexible stainless steel quick connect hoses. No need to worry about your plumbing lining up exactly, no need for soldering, sweating, cutting, and gluing! The Flexible stainless steel Quick Connect hoses just clamp right on to your pipes! Get Soft and Filtered water Plus Use less salt & waste Water with the Ultimate High-Efficiency Silver Package! UPGRADED! 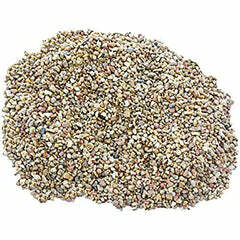 SST-60 resin saving you 40% on salt consumption AND 40% on waste water! SST-60 Shallow Shell resin is high performing water softening resin that is ideal in residential and commercial softener applications where minimizing hardness and maximizing salt efficiency are top priorities. EASY INSTALLATION: This package includes 3 18" Flexible stainless steel quick connect hoses. No need to worry about your plumbing lining up exactly, no need for soldering, sweating, cutting, and gluing! The Flexible stainless steel Quick Connect hoses just clamp right on to your pipes! Whole House Upflow Catalytic carbon Filter to provide better smelling and tasting water throughout the home! This requires no electricity and no drain making them very easy to install because there are only in/out ports! 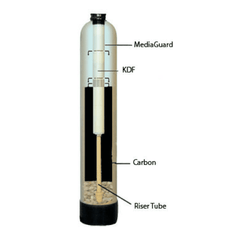 Very cost effective Non-Backwashing carbon filter works well in city water applications to remove Chlorine, chloramines, Pesticides, Herbicides, heavy metals, and volatile organic chemicals. Get the Best Water Treatment with the Fleck 5600 Ultimate Gold Package! Complete Whole House Water Softener and Filtration System! 75 Gallon Per Day Reverse Osmosis: Get Fresh Filtered Drinking water right from your Sink with the 75 Gallon Per day Low waste Reverse Osmosis also included in this package! Whole House Upflow Carbon Filter to provide better smelling and tasting water throughout the home! This requires no electricity and no drain making them very easy to install because there are only in/out ports! Very cost effective Non-Backwashing carbon filter works well in city water applications to remove Chlorine, Pesticides, Herbicides, heavy metals, and volatile organic chemicals. Get the Best Filtration & Save on Salt and Wastewater with the Ultimate High-Efficiency Gold Package! 15 x 17 x 35" brine tank, Includes; Brine line and Safety float with brine well. Easy Installation 18" Stainless Steel Quick Connect Hoses, 3/4" or 1"
15 x 17 x 35" brine tank Including; Brine line and Safety float with brine well. The system is preloaded ready to install. 18 x 33 brine tank Includes; Brine line and Safety float with brine well. 2.0 cu. ft. of 8% high capacity resin. 18 x 33 brine tank, Includes; Brine line and Safety float with brine well. See How the Fleck 5600SXT Whole House Water Softening System Can Improve Your Family's Life Experience from one of America's Best Fleck Water Softener Dealers! Good products, customer service was good too, which the softener would come with picture as for installation, the website have some videos although on my b model they left out to mention that the resin tank has a filter to be install at top where the water valve head, so I had to remove it again when figure it out from another internet video. Other than that is working good, and family is happy with the water. The soft water is wonderful. We have been living with hard water for the last ten years and when our valves and fixtures began failing, freezing up and breaking we decided it was time to get a water softener. We are very happy with our purchase. Don't wait to get and install this great water softener. These days it's very rare to receive such good service from a phone call with a great product. I am very happy with both support service and product. I strongly recommend this product to anyone who needs water softener solution. I have now been running this unit for about a week. Dishes and my shower are without a doubt cleaner. Like, amazingly cleaner. I have no experience with softeners, but I can say that there has been the improvement that I expected. 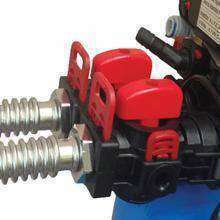 I would not hesitate to install this in your home if you are dealing with hard water issues. I purchased the Fleck 5600 water softener, and the resin tank must have been dropped in shipment and sustained some damage. I emailed customer service and very quickly received a reply that a new tank was on its way. I was very impressed with the speed and customer focus, will gladly shop from here again! What a difference! After our first softener went out I signed up for a name brand companies service where I rented a softener for a year and a half. I hated the softener. It never seemed to work and they would come out and test the water and say everything was fine. I know for sure now that it wasn't working properly since we installed this Fleck 5600SXT. It works great and we can feel the difference in the way the water feels and my hair is soft again. QWT was there to answer all my questions about the fleck water softner. My Culligan broke down and I was not willing to pay the $120 service charge on top of what ever they were going to charge me to fix the unit. Having had Culligan for 15 years and having paid for Service calls as high as 600 for parts and labor, I figured I should try the DIY option. I reviewed the Fleck 5600SXT. My house is already plumbed for a Water Softener so installation was easy, especially with the flex connectors. The youtube videos are extremely helpful. and the programming is easy. I Had softwater within minutes of running the backwash and regeneration. I love it. installation and love it. So far the install is working. Testing shows we have soft water. Works great and the install was really easy. We bought this model based on feedback from our neighbors, both who previously installed this model as a replacement to the new-home preinstalled from 14 years ago, (and are using this specific model). Also, we were at Costco the other day and a comparable unit was being sold for $3400 dollars! Glad we bought the Fleck instead....5 out of 5 starts after 3 days of install and usage! Set up was easy, programming not so easy, very difficult reaching menu, unit is on military time and I don’t want to spend .5 hours changing liters to gallons. Replaced Rain Soft System Really like the new Fleck control...thought there would be instructions included for both installation and programming. Also a seems items were just thrown in a bag/box with no packing list or listing of what is included. Good thing for the internet! Installed in about 2 hours. Water is now soft. Very happy with price vs. local quotes. Product arrived in multiple boxes with NO damage. Instructions were crystal clear and additional email support by the seller was sent with simplified programming instruction. The water softener now has been running for a little over a month and has recharged 3 times. No issues and water quality improved basically immediately. Replaced an old water softener. We did not realize how poorly the old one was working. I installed the new softener and it was amazed how soft the water is. The water test went from 20 grains of hardness to 0. Just installed it a coupe weeks ago and it is working great. Wish we had done it sooner. Not installed yet The Fleck unit I purchased is for a new home under construction, so will not be installed for a few weeks. A similar softener purchased several years ago continues to work properly, and has had no issues. Delivery was prompt, and arrived in good condition. This water softner is GREAT! I would definitely recommend this softener to just about anybody. It was fairly easy to install; but, it's also pretty inexpensive to have a plumber come do it if you don't feel like tackling the project. The end result is far superior than the salt-free system - and identical to the results from the premium brands. I can't think of any downside to using this system! This is a really easy DIY project as it is mostly assembled when it arrives. We are very happy with the soft fluffy nature of our water. First things first, the customer service was superior, second to none. Installation was exactly as advertised, simple. A DIY’s dream. Softener has only been in service one week, so far it is meeting our expectations. I would definitely recommend this to others. If you live in north Florida and have well water.. you know where I'm coming from.. The water is the worst in the US. It stinks, it's full of grime, it leaves a brown sludge behind everything.. it's horrible. I am impressed! This unit works great! So far so good. No issues. I am using it in hot side. Water is soft as should be. Jeremy was very informative and knowledgeable in helping us figure out what we needed to replace our current system. We were in good hands as he explained the Fleck 5600 SXT and the other items we could consider in addition to the system. We appreciated all the patience and kindness as he guided through our sale. Will definitely refer family and friends. Once again, thanks a bunch! We are very happy with this unit and would recommend it to others. Great product, great customer service. I would definitely recommend to anyone who needs a good softener. Also the price is right. My original softener was only out for about a month but what a long month, I am delighted with this new one and would highly recommend. BTW, my local plumber wanted to charge me just shy of $2,500 to install a comparable unit, what a jerk, now I know! I'm very happy with my purchase of a Fleck 5600 SXT. Shipping was fast, the price was right and the instructions were easy to understand. Everything you need is included. Even the softening media is preloaded for you. All I had to buy, in addition to what was shipped to me, was 2 bags of salt and two flex hoses that you can get from any home improvement store. If you have just basic plumbing skills it should only take you about 2-3 hours to install the softener. If you get confused during the installation you can call their team for help. The Fleck 5600 SXT is a very popular softener. I replaced my very old softener and the difference between my old one and the new old is like night and day. Thanks QWT. I highly recommend this softener and this dealer. John Good product. I am familiar with Fleck because i install them for my customers. Going strong for 5 months now. Easy install and setup, dishes come out spot free, soap lathers betters, and clothes are softer. What more could you ask for? Replaced the water softener in our new house as the current one was rented by previous owner.. This is the splitting image of what we had but was $1500.00 cheaper. This unit is by far was better and you own it. Great buy, good price. First month at after we replaced a 24 year old Culligun unit, we saved $20 on our water bill. Great product and fir a lot less coin that the competition. This is the second water softener of this same model that I have purchased. Once for my last house a few years ago, and once for my new house. This thing WORKS. Fleck is a name you can trust. Don't waste your time on cheapo models you find at big box stores. These are engineered to work and to last. And do so efficiently! This one is enough to handle my very hard (24gpg) water and my large family's monthly water usage. So far, I love the transformation my water has taken! I did a lot of research for this unit and had many companies come in to give me a quote...For the price and quality, this unit can't be beat. I shopped around for months looking for a quality water softener. The Fleck 5600SXT kept showing up as one of the best out there so I took a chance and bought it. We have had it for 3 months and our water is soft and we have had no issues. It doesn't take up much room. I am happy we purchased this particular water softener and would recommend it to anyone looking for a water softener. So far so good!! I installed this about 2 months ago. Installation was easy and the video they sent me was extremely helpful. The softener is extremely efficient even with my crazy hard water. I am happy. After reading several reviews on this and other products, I went with this one and I am glad that i did as it was easy to install and is working great. According to my plumber the installation was a breeze and adding salt is super easy. We could immediately see and feel the difference with this water softener system in place. The Fleck worked immediately to soften our water - a test showed a reduction of several levels and there is no 'salt' taste to the water! Honestly, we have used Kinetico systems in our last 4 houses, which costs up to 10x as much as this system, with no better results! We've had our water softener for about a week now, and I don't know how I lived this long without it. We ordered online and hubby did the installation, piece of cake for anyone that has any plumbing experience at all. The softener arrived quicker than expected. We did have to purchase a couple of fittings and the salt but that's to be expected since all homes are plumbed differently. I enjoy washing dishes by hand now, and showers are a bit longer :-). I've cleaned up all the hard water stains and I'm looking forward to no longer seeing them anywhere around my bathrooms and kitchen. This was the best purchase I've made in quite awhile. We were tempted to buy one from Costco a few months back but decided it was best to go with a company that we know and trust. We bought our RO systems a couple of years ago and again no regrets there either. Very friendly professional service, I asked a lot of questions before purchasing and all of them answered. Highly recommend this company. Large volume unit. Includes everything you need to install. Works great and very configurable for water specifics. The system is a no brainer...super easy to use and everything so far has been great. I'm very pleased with my unit. We have very high iron content and the unit does a great job handling it. The controller is very user friendly and a huge improvement over the older mechanical clocks. Great price, easy installation, and works fantastic. Our water is amazing, it is so soft, my wife really noticed a difference with her hair and we noticed how smooth our skin feels. We are very happy with this purchase. We have soft water and could not be happier. This was shipped early and in good order. Installed easily and the softener immediately worked to create great water. Spare parts are available everywhere. Seems like an industrial unit compared to the Home Depot stuff that you throw away in 5 to 10 years. have been so very satisfied w/your product and you outstanding service. Lowest cost also, for the best equipment on the market.....would recommend 10x a day. Thank you for your product & service! Easy to install and easy to program. So much better than the old Culligan water softener we replaced. The hard water deposits in the dish washer are actually slowly disappearing on their own! You notice immediately when showering. Soap goes a long way. Skin feel softer and water just taste better. Wonderful unit! It all arrived in great shape. Directions were good. I did have to program the unit from a 24000 to a 48000. I did call to get help with that and they were great too! Some deeper programming is done after you set the time to 12:01. The technician I talked to even told me to change the brine refill time from 12 minutes to 10 minutes. I'm happy you will be too. Water filter shipped and arrived quickly. Resin tank seems to be bulletproof construction. Instructions were clear (especially helpful with online video), and within about 30 minutes, water softener was installed, up and running. An immediate noticeable improvement in water quality, and at less than a third of the cost of the quotes I received from local water companies. Recommended. We purchased this product a couple of weeks ago and had it installed by a Kinetico dealer. We have noticed a big difference from what we had. It was a great price also. Both parts fit perfectly in a corner by the laundry tub and upright freezer. We are very happy with this product. The installation instructions were excellent and the install went flawlessly. Put it into service and the water quality is excellent! Love the digital controls which were very easy to set up. So far, the unit is living up to its reputation for a very reasonable price. This water softener is in my opinion the best value for the money including total installation. I am tremendously happy with the performance of this system. Water feels so different now that it is like water infused with lotion. It feels smooth, soaps lather so much better and anything I clean now squeaks which it never did before. Clothes wash so much better and boy what I missed before I got this system. Overall, I am extremely happy with this water softener system, especially considering what I paid for it & what I was quoted for previously from other competitors. Excellent customer service. Excellent installation instructions and videos. I installed the 48,000 grain Fleck unit by myself in 2.5 hours. That includes removing the old unit, cutting the water pipes and sanitizing the new salt brine tank. Couple suggestions for DIY's: get Shark bite water line connectors, stainless steel flexible. I got the 18 inch long lines but could have used the 12 inch so measure before buying. Get a six foot piece of clear 1/2 inch diameter plastic hose form the hardware store (it is 50 cents per foot) to use for drain line. Make sure you have the right tools such as copper or PVC pipe cutter, adjustable wrench, a bit of 220 grit sandpaper, and watch the install video two times. Your water softener is really Great!!! As far as the performance of the unit is concerned, it's excellent. Turns out that my water was pretty soft to begin with, but I still notice a great difference. I highly recommend this product. Received the components in great shape. Install was pretty straightforward. I had to redo some of the existing plumbing that was attached to my old softener. I can tell that the water is soft. I have not had a regen as yet, but I don't expect any issues. Overall, I am very satisfied with the unit and the communication during the purchase process. My local dealer wanted $1,800.00 for a very similar installed system. My previous softener system failed after 13 years and this replacement system was fairly easy for two of us to install. Great printed and video instructions. Excellent phone support from the vendor. The system is functioning perfectly. I've had it about 8 months now. I had zero experience with a water softener. I installed it myself with a couple braided push on water hoses (rated for this application). I set up the unit according to the instructions and it was working good. I was getting too much water into my salt reservoir so I changed that setting to pump less water into it. Still not exactly sure why, but we get consistent soft water and never had any hard water breakthroughs as far as we can tell. This thing is great though. I keep it loaded with salt, add maybe a bag every few months or so and it does the rest without work from myself. That's the way it should be. The last water softener I bought cost over 3000.00 and it work ok. THE 5600SXT came and was all part accounted for. I followed the instructions from on line to install it works perfict and cost less than 600.00. Very happy with my system. Our old softener was 25 yrs old. It still softened the water but did not remove any iron. Ordered a new 48K Softener for our house and it was here in 5 days. I had to do some copper sweating to adapt the water lines but the unit installed quickly and easily. I've made a couple of phone calls to the company, before and after ordering, and I really appreciate the pleasant and knowledgeable staff. Very happy with my new water softener. I replaced a 15 year old Culligan Water Softener with this system in October of 2017. I saved a substantial amount of money and so far am very pleased with the performance. I was impressed the supplier emailed to check on my purchase and answer questions. I would definetly recommend both the supplier and the product. I did lots of research before buying THIS water softener. They stand behind the product and are ready to help you. I like that! Service is great. Shipping was quick and arrived without any issues. Best place to buy the Fleck 5600 SXT Softener. Buying from their site includes some of the things you can't buy directly purchasing on Amazon. Everything you will need is included (only thing needed outside of this purchase is a drainage hose from the local hardware store). Set up was a breeze! I bought this system a few weeks ago. In reading multiple reviews from various sources, this unit was highly rated, and competitively priced. The difference in the water was immediately evident and noticeable. I highly recommend this product, it is high quality, well designed and works great. This item exceeded my expectations. We had horrible brown well water that tasted and smelled terrible. I ordered this system, it arrived several days ahead of time. From the time it was delivery to the time it installed, 1 hour 59 minutes. Very happy with the purchase so far. Been using about a month. After installation, water is SUPER soft. There will be an immediate tangible difference on your skin, on leftover residue, and on laundry. The softener itself comes with many different scheduling options, hardness options, and a large capacity for significant usage for a household over 2 weeks. Great deal on price. I bought the Fleck 5600 from Quality Water Treatment. I used to work for a water treatment company and I used to put in Culligan and I always like the Fleck models. I've dealt with them a little bit before and Fleck 5600 is very good. When I called Quality Water, the team took my order and they treated me good. I asked questions, and they answered them and they also told me when they will be coming to New Jersey. My experience has been excellent. We've been very pleased with everything that we've gotten from Quality Water Treatment. We haven't had to return anything, which is always good. We have six houses on this property that I maintain and we have six different systems. Our water systems have been in place for 25 years, so we just update the parts that are on them. We swap out old parts with new ones as they break down or wear out. My current system wasn't working and my cousin gave a good recommendation for Quality Water Treatment. I ordered the stuff online and talked to one of their reps in the office. Their rep was knowledgeable. I got a water softener from them and everything's working. So far, so good. I bought from Quality Water Treatment some time back and it made an improvement, so I purchased again recently since the water in my area is very hard. The sales rep was good and they answered all my questions. The experience was very good overall and I would buy from them again. The area we live in has hard water. My friend told me about Quality Water Treatment and he said that they had a good experience with them so I bought the water softener. I ordered the product online. It was very easy to navigate through their website. The quality of the product was very good and it was easy to install. The quality of the water has been good as well since we installed the system. It has been a great product, great service and a good experience. I would order from them again. Hard water led me to research about water softeners and I found Quality Water Treatment on the web and I looked it up. Their customer service was good. I ordered the unit over the phone. It has a clock tank on it and the most common head. Since installation, our water is softer and we have less residue on the faucets. It has been very satisfying and they have responded quickly. I would order from them again.